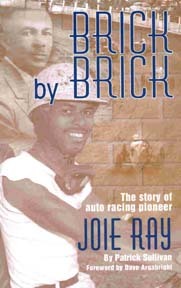 Louisville, Kentucky's, Joie Ray, was a racer who lived during a time when the color of a man's skin determined the range of opportunity. Joie was a racer who helped change the world one person at a time. Pat Sullivan recounts Joie's memorable career and his passion for auto racing.